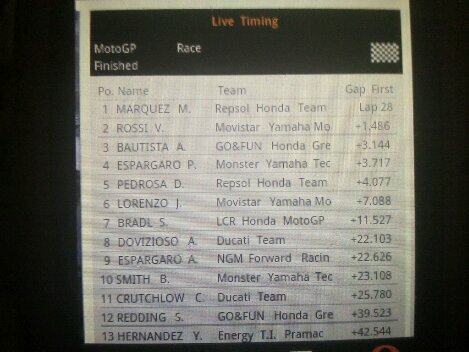 And again... 7th streak of winnings by Marc Marquez! Masdaniblog.com – Winning streak again from Marc Marquez in 6th races of 2014 MotoGP at Le Mans. Thus Baby alien is very unstopable racer now!. Starting at 10th places after Lorenzo squezed him out from the race line just after the race was started, what a race!. Posted on 18 Mei 2014, in Info Roda Dua, MotoGP and tagged Marc Marquez, motogp. Bookmark the permalink. 4 Komentar. Marquez memang super. 5 pole 5 win.